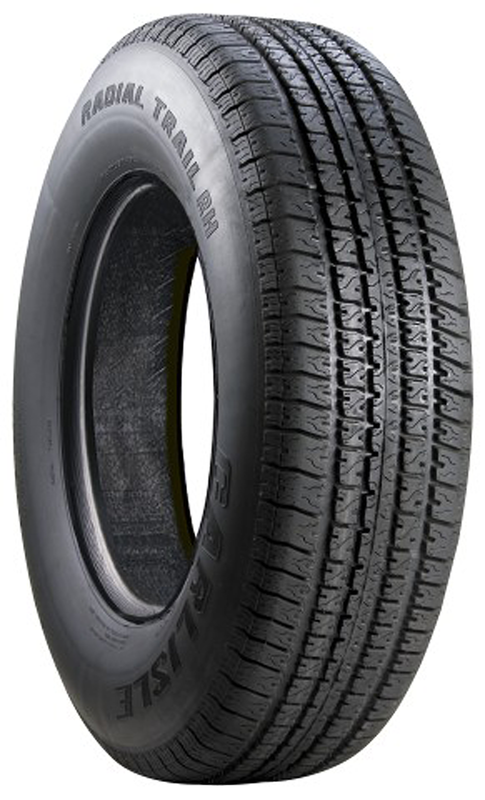 ST145/R12 Carlisle Radial Special Trailer Tire Load Range D free shipping. 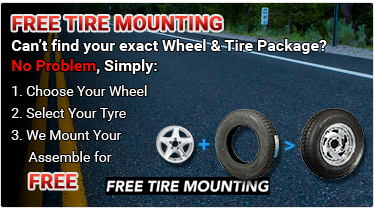 This tire passed the FMVSS-119 specification for tires designed for ST applications. Late 2008, I received 4 new Carlisle tires on my dual axle/dual brake Yacht Club pontoon boat trailer. They were the ST145/R12 LRE Radial with load range "E" (Very similar to the LRD's but with higher load rating. 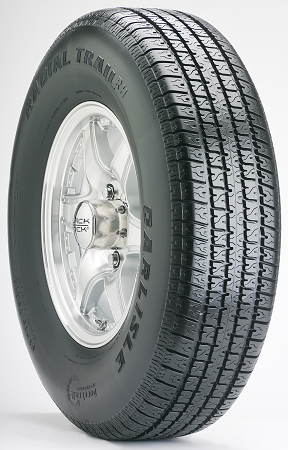 Carlisle does not change models very frequently, and the same tires are still available.) I trailered my boat to different lakes for 3.5 years, and put about 6,000 miles on them. Third time out this year, I had a blowout on one tire. I took the tire to a local Carlisle dealer, but also decided to put my boat up on blocks and have all 5 tires checked. Turns out that all 4 tires put in use had severely broken belts (spare was okay because it was only used for 1-week). I store my boat in conditioned underground storage 6 months of the year. For the rest of the year, frequent use and storage in a semi-shaded lot should not be a factor during the warm months in western PA. I took care of the trailer, bearings, and tires doing a full check several times per year. My local dealer put in the paperwork for a post-warranty claim, but Carlisle quickly came back with *denied*. I DO NOT Recommend buying any Carlisle tire unless you'd be perfectly happy getting only 3-years of use. Nice tire and looks way better that my old bias ply tires. 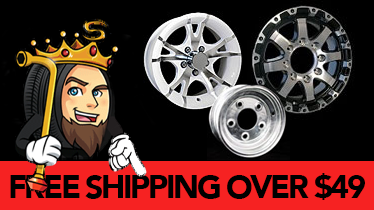 I was looking to replace the tires on my 4 X 8 trailer and looked locally and could not find anything that intrested me and then went online and found your site which is great and had just what I was looking for and the shipping and mounting was free, if you bought wheels, which I did, great site,price and product, will buy again and will recommend your company.